July 5-14, 2019. For 10 days and nights every July, Calgary puts on its white hat and welcomes the world. The Greatest Outdoor Show On Earth is the most authentic, memorable western experience you could ever pack into a single vacation. JULY 5 - 14, 2019 For 10 days and nights every July, Calgary puts on its white hat and welcomes the world. The Greatest Outdoor Show On Earth is the most authentic, memorable western experience you could ever pack into a single vacation. 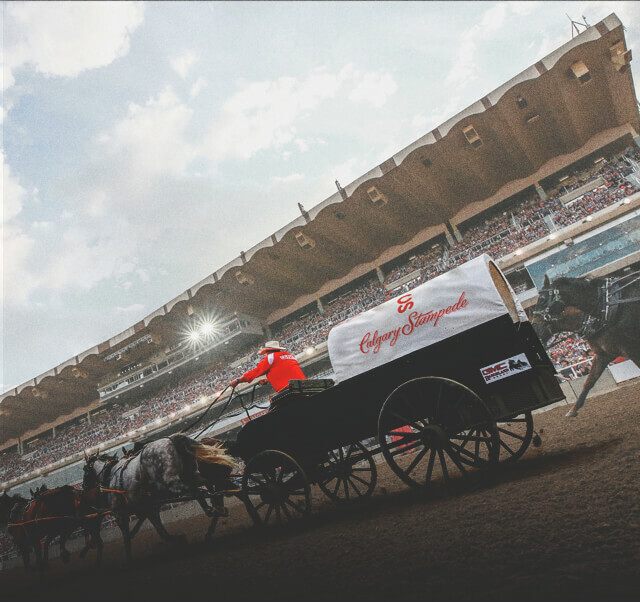 You'll become a cowboy or cowgirl, witnessing the world’s top rodeo, thrilling chuckwagon races, First Nation culture, Agriculture showcase, live music and much more. 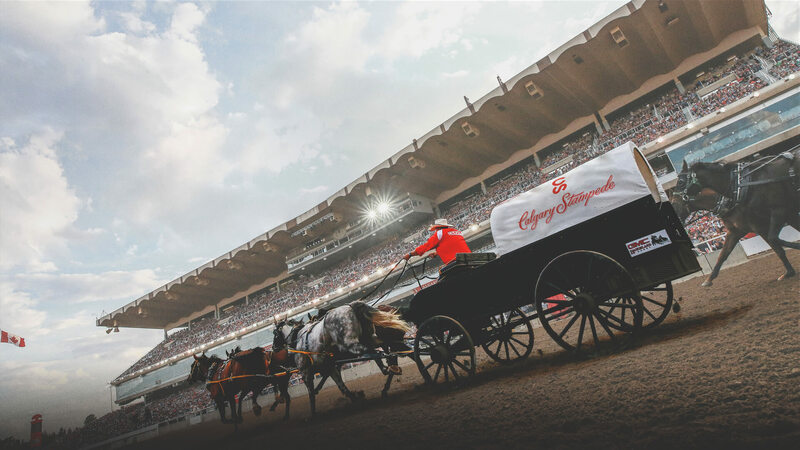 And because Calgary is located only one hour from Canada’s majestic Rocky Mountains, the Stampede is the perfect place to kick off a true western vacation. Dust off your cowboy boots and put on your cowboy hat for an experience that is unrivalled for variety and excitement. July 5-14, 2019. July 3-12, 2020. Whether you’re looking for adrenaline-charged thrills, family fun or a chance to get your cowboy or cowgirl on, Stampede has it all. There’s endless entertainment at no extra cost. Acrobats, active dogs, art shows, agricultural barns and more are included in your park admission.